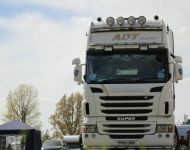 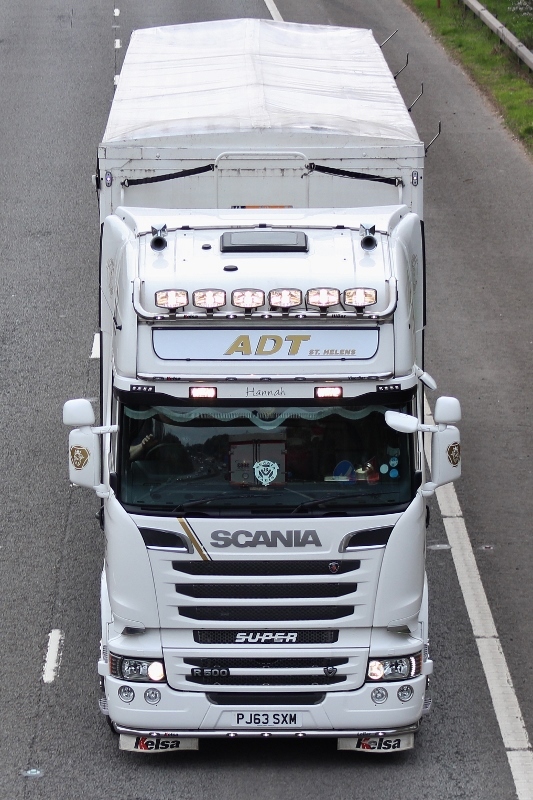 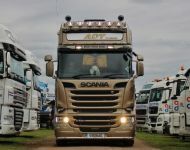 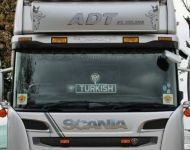 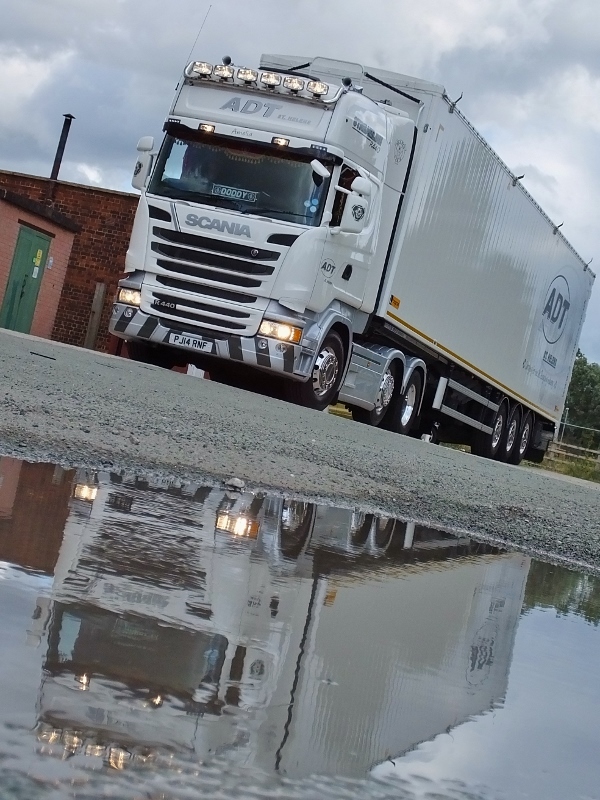 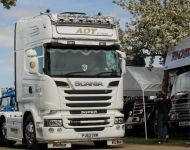 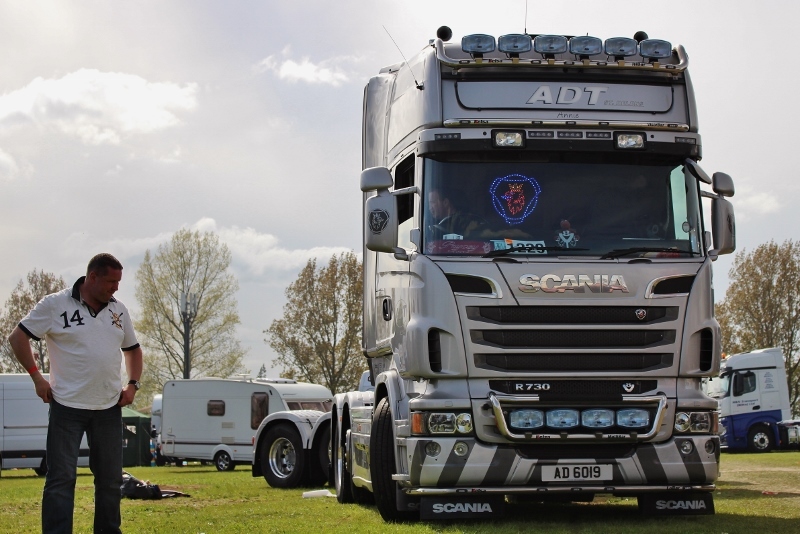 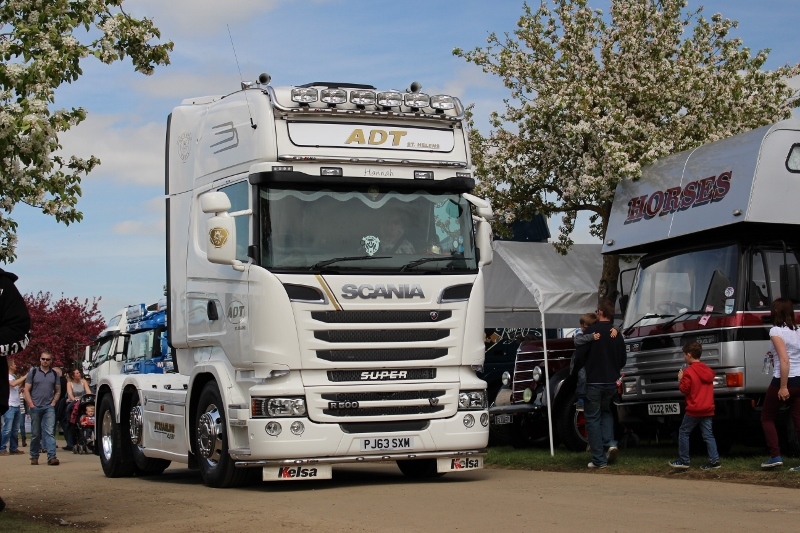 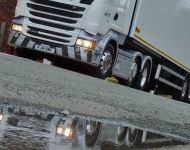 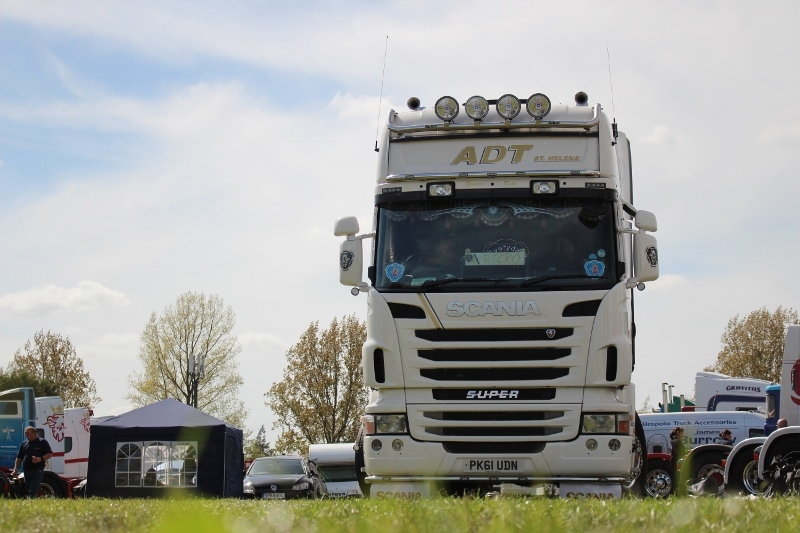 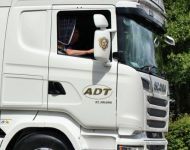 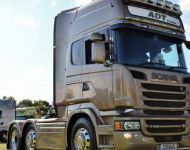 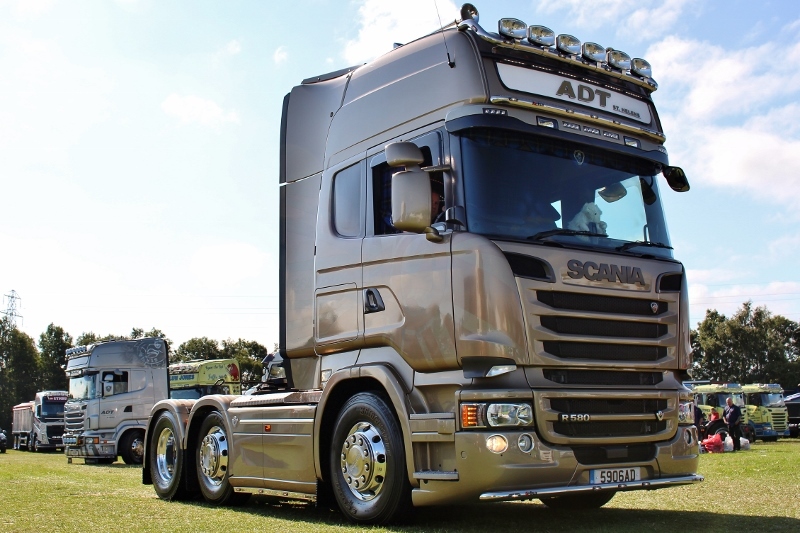 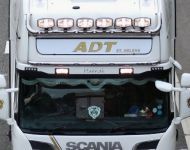 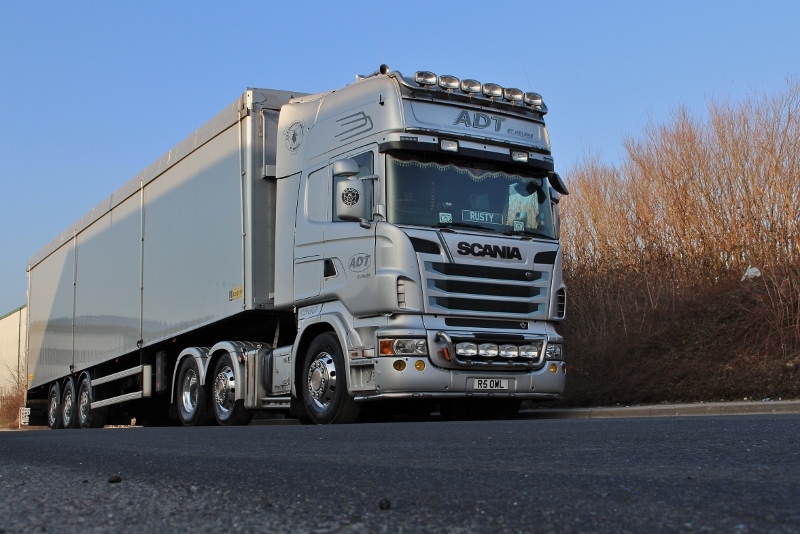 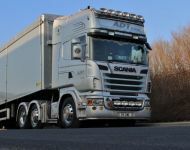 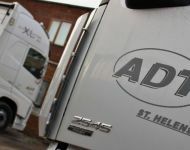 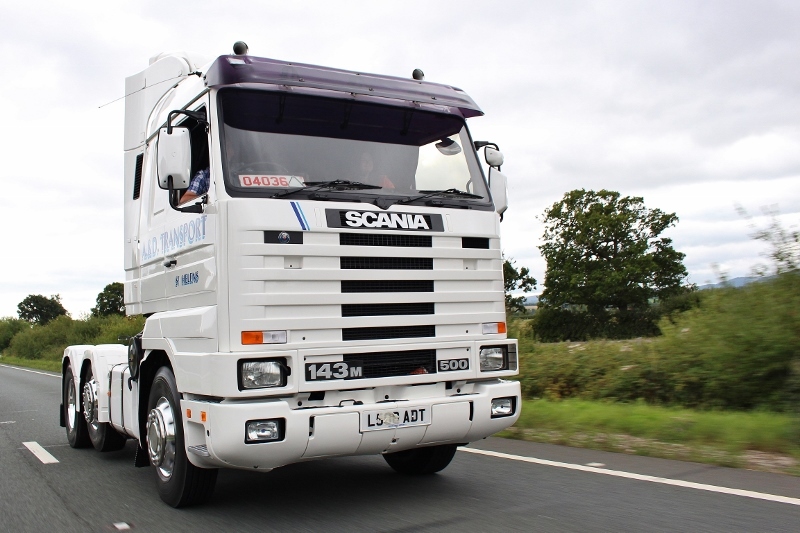 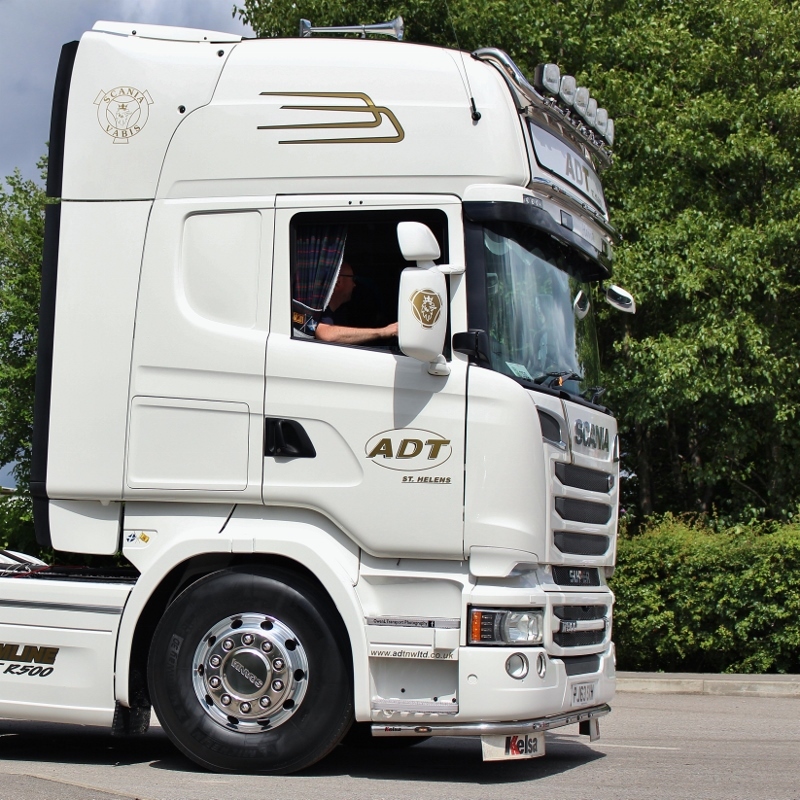 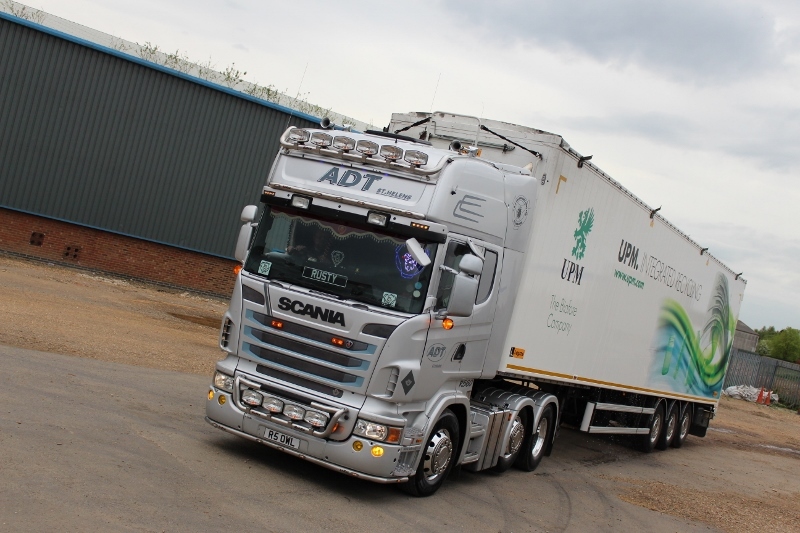 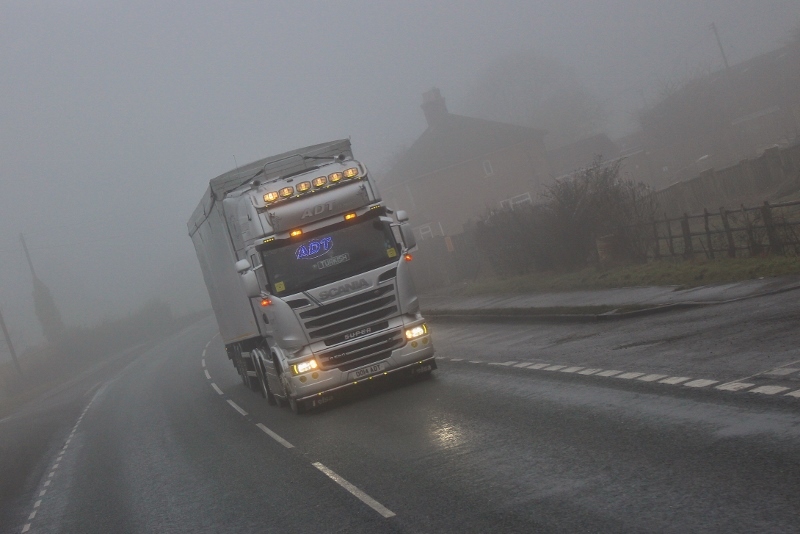 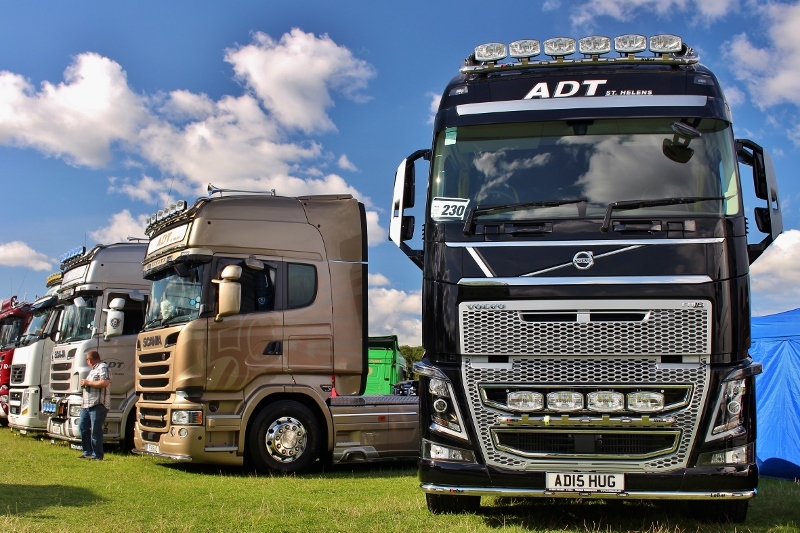 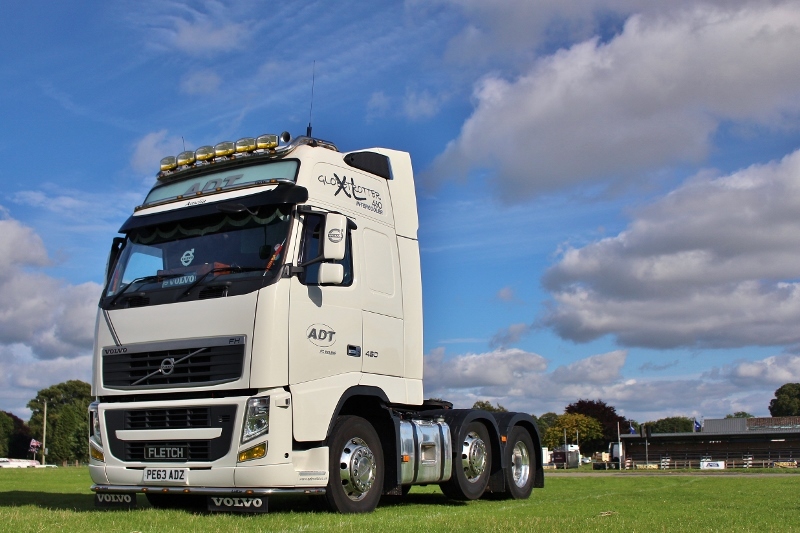 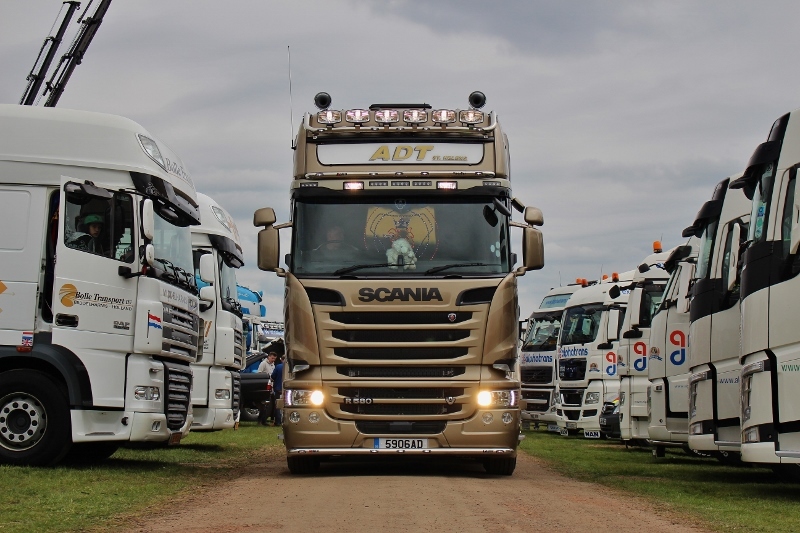 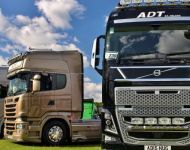 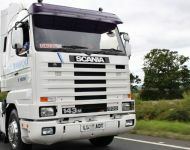 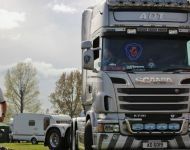 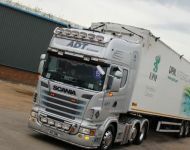 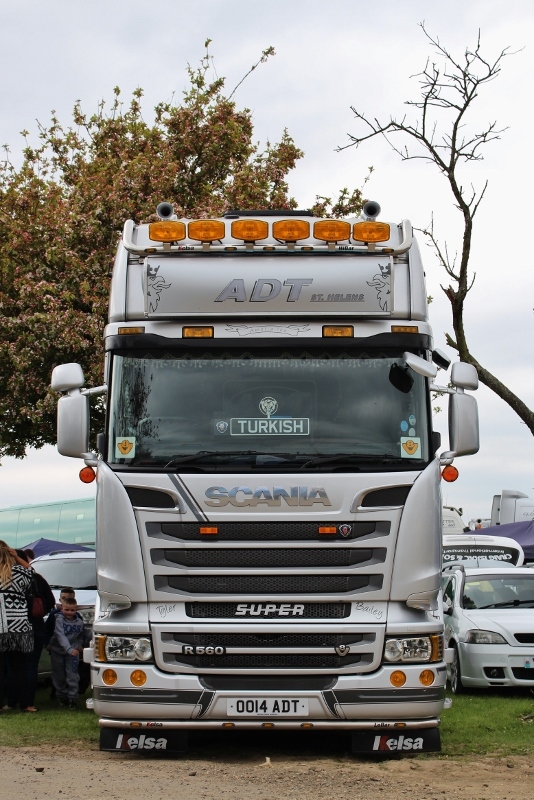 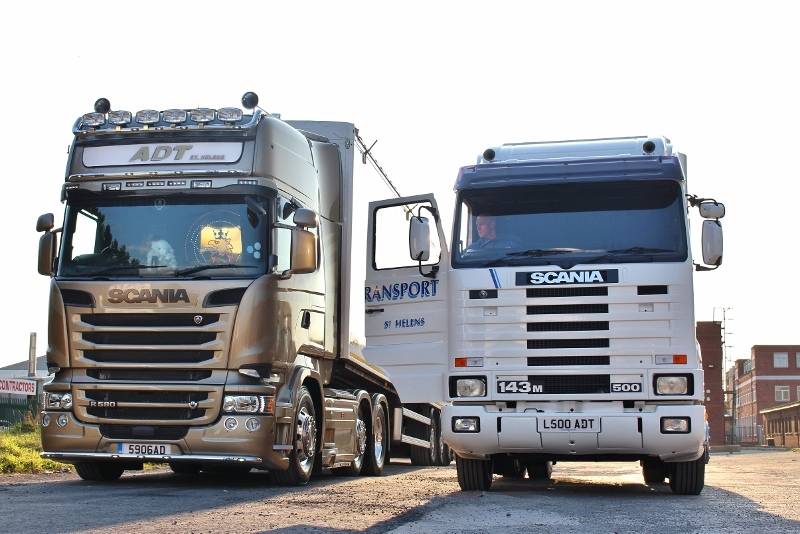 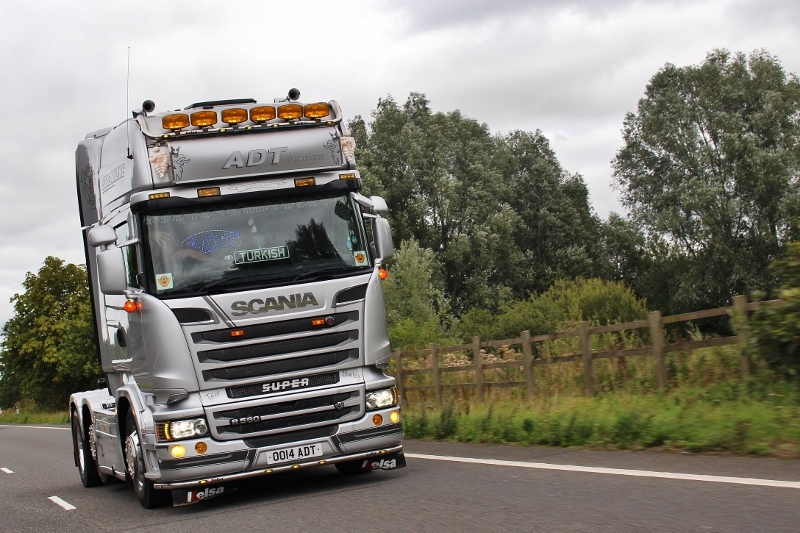 A&D Transport (NW) LTD’s fleet consists of Euro 5 and Euro 6 Scania, Volvo, DAF and Mercedes Trucks. 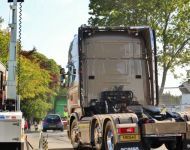 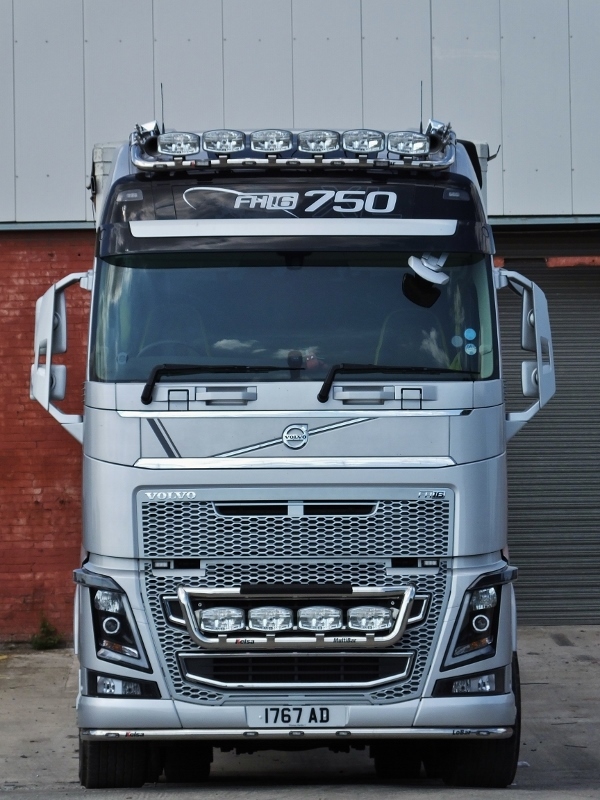 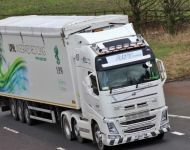 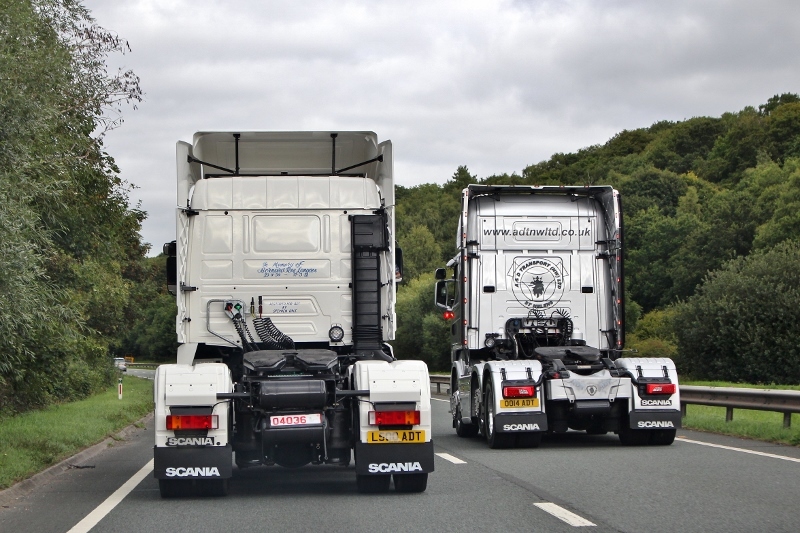 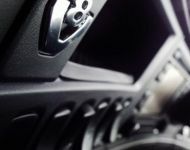 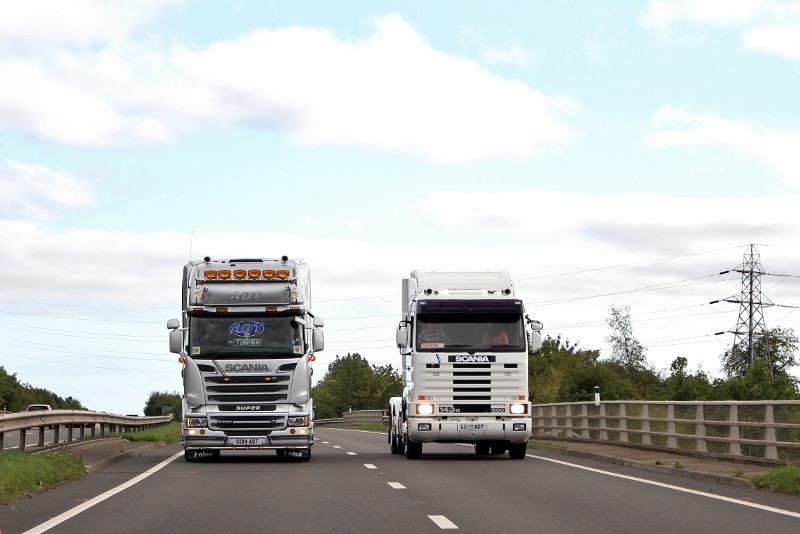 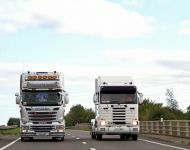 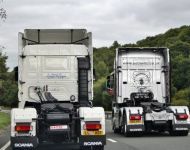 We will look to replace Euro 5 vehicles as a matter of course with vehicles installed with Euro 6 engines, and in doing so we will again reduce emissions from Euro 5 to Euro 6 Vehicles. 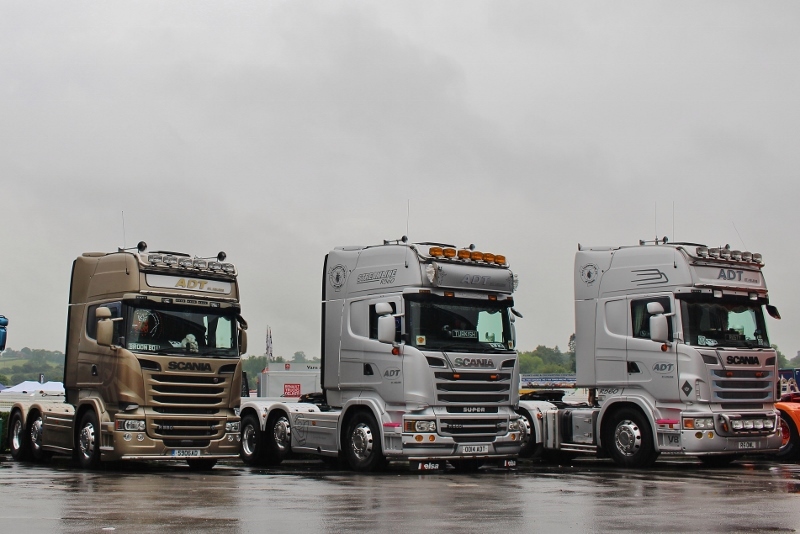 We have more than 60 vehicles in the fleet with horsepower ranging from 420bhp to a mighty 750bhp. 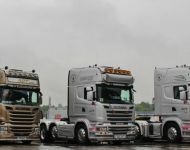 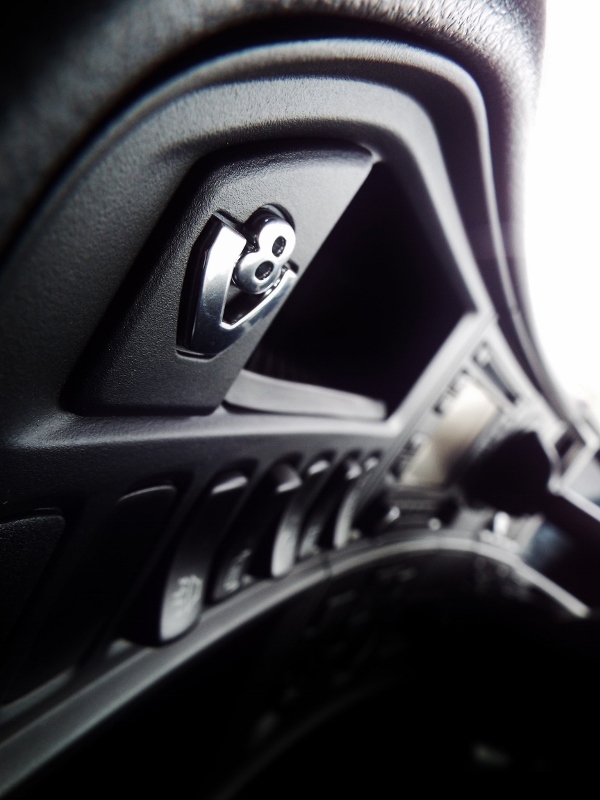 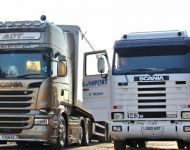 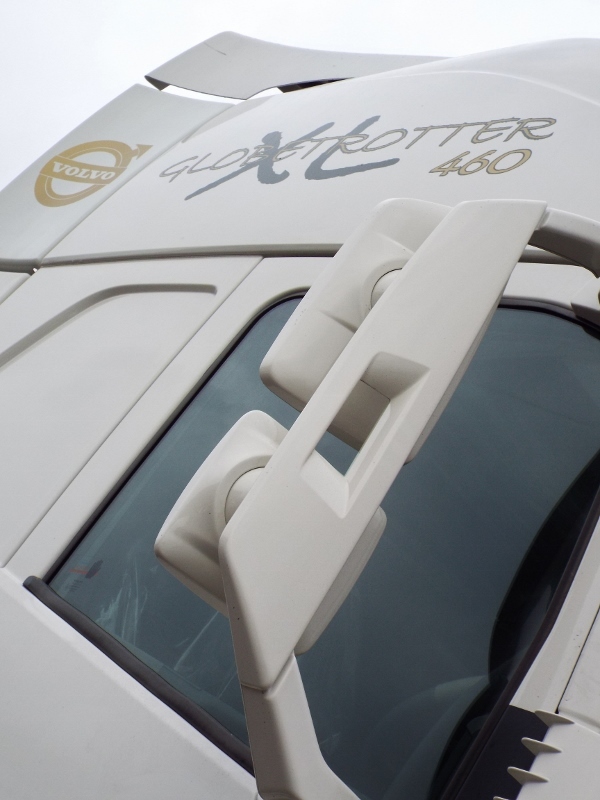 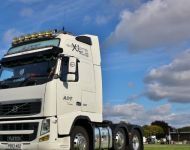 We have a variety of modern, clean and comfortable trucks such as; Scania R series Highline and Toplines, Volvo FH series Globetrotter and Globetrotter XLs, a DAF XF Superspace and a Mercedes Actros Gigaspace. 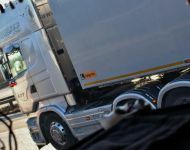 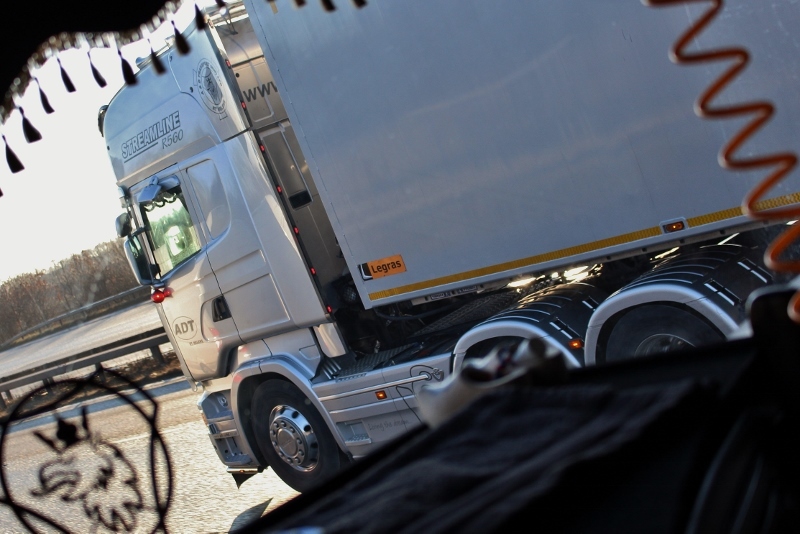 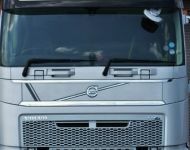 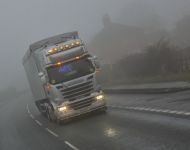 This means that the vehicles are both a pleasant and safe working environment for the drivers. 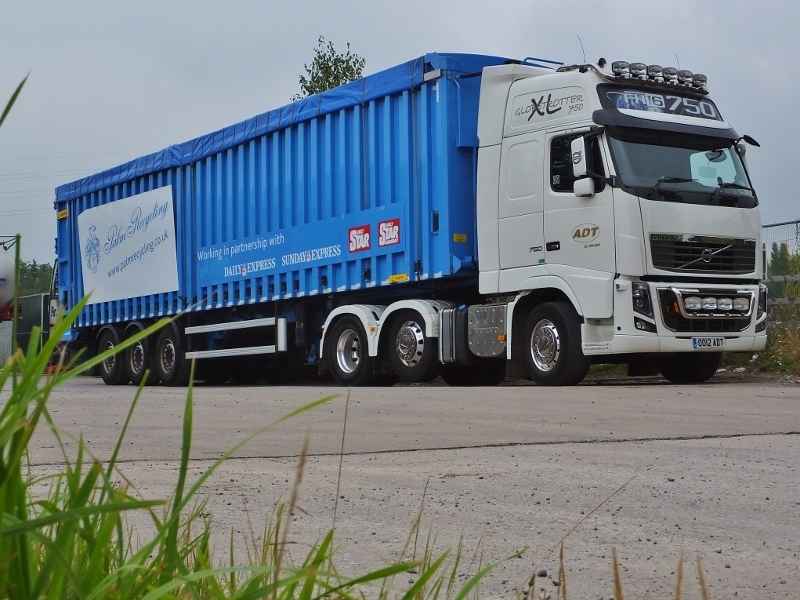 We also have a variety of specialised trailers in the fleet including walking floors, tippers and taut liners. 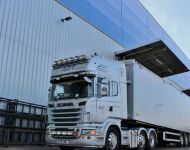 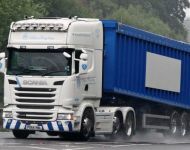 They are capable of carrying different types of material, including; food, paper, glass, tyres, commingle, timber, chip, aggregate, profuels, metal, paper reels and palletised finished goods. 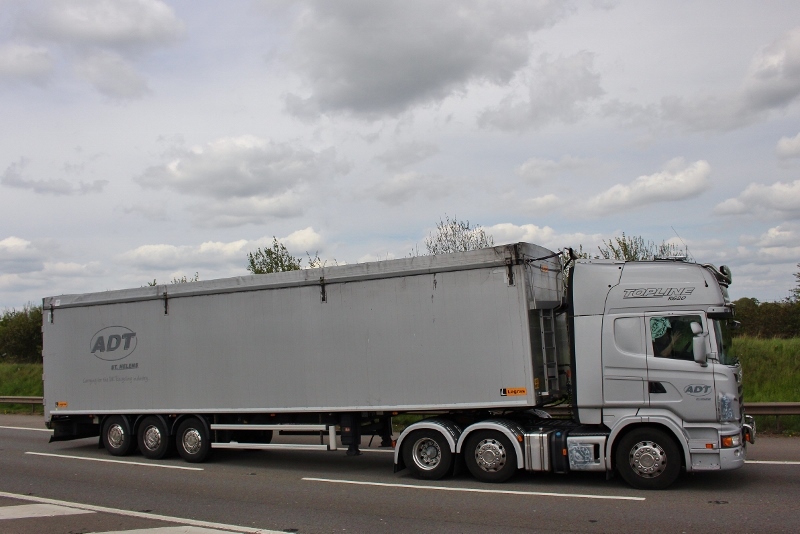 Our walking floor trailers are very versatile as they are able to carry both a raw recyclable material and a finished manufactured product, if necessary. 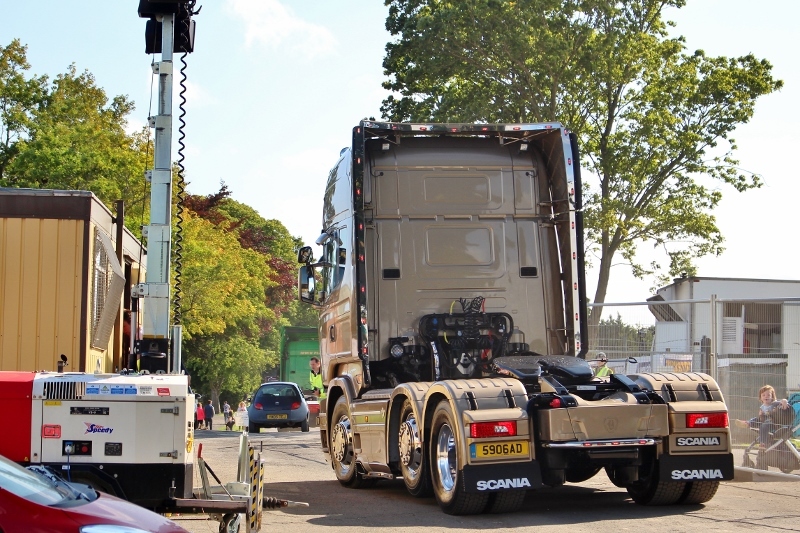 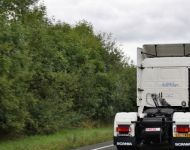 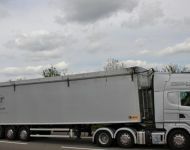 Loose items can be loaded through the top of the trailer, whereas bailed items can be ‘walked on’ from the rear of the trailer. 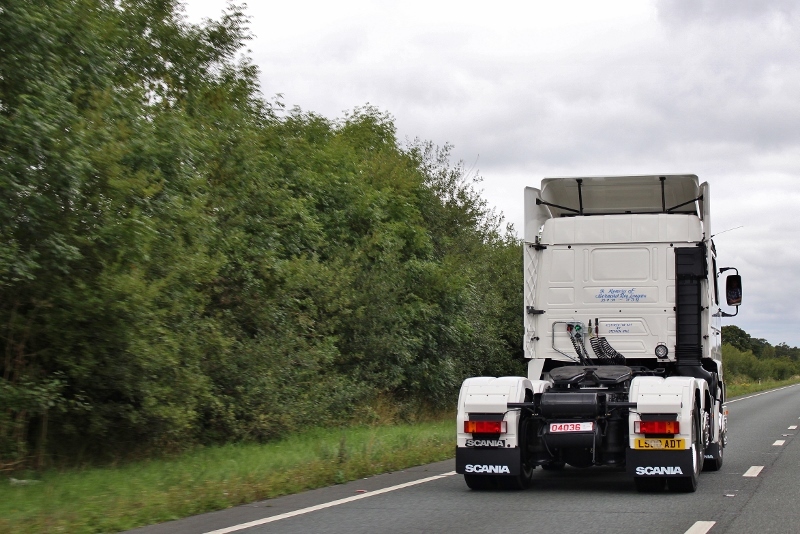 Both the walking floor and tipper trailers can eject the load automatically from the rear. 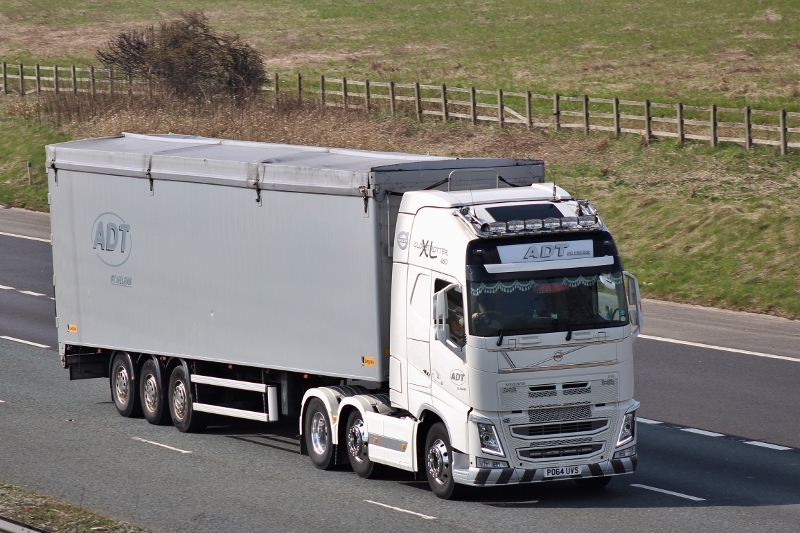 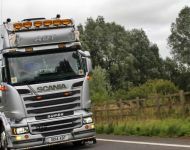 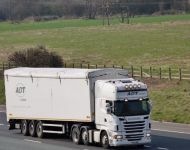 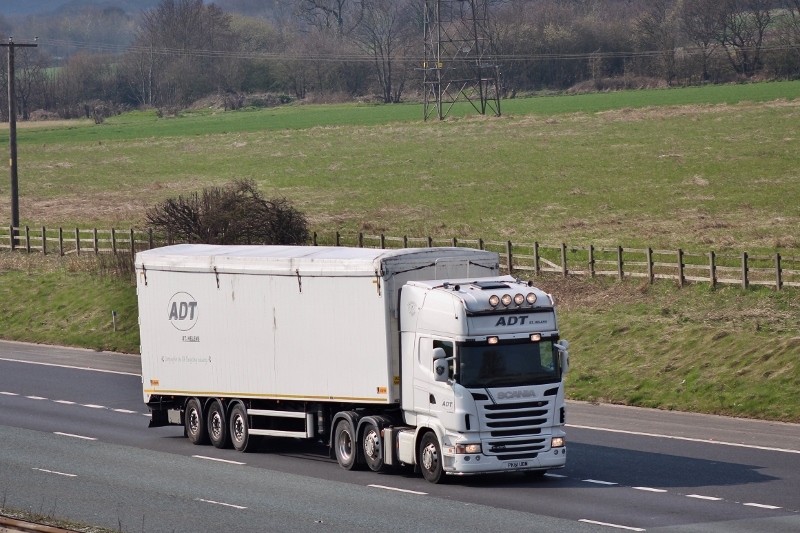 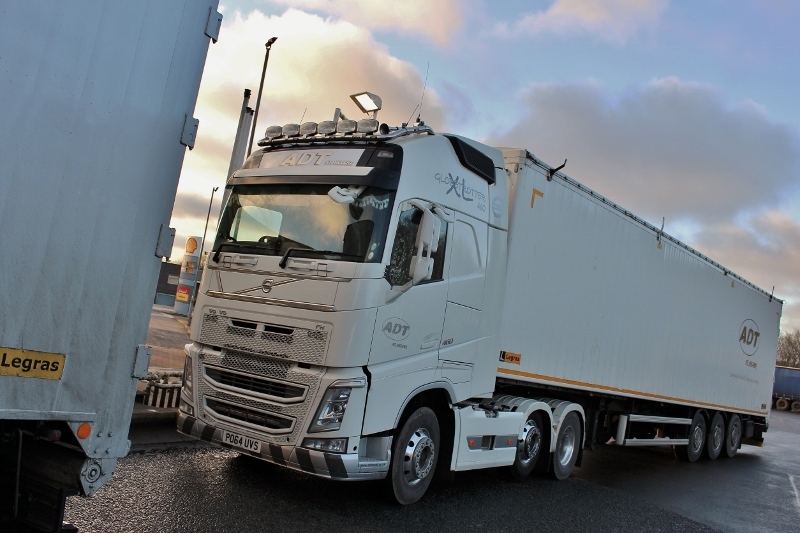 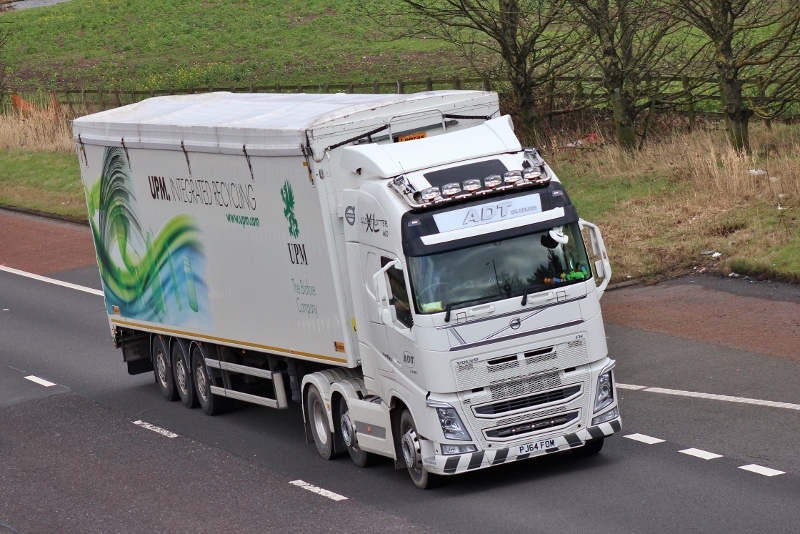 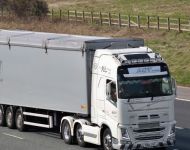 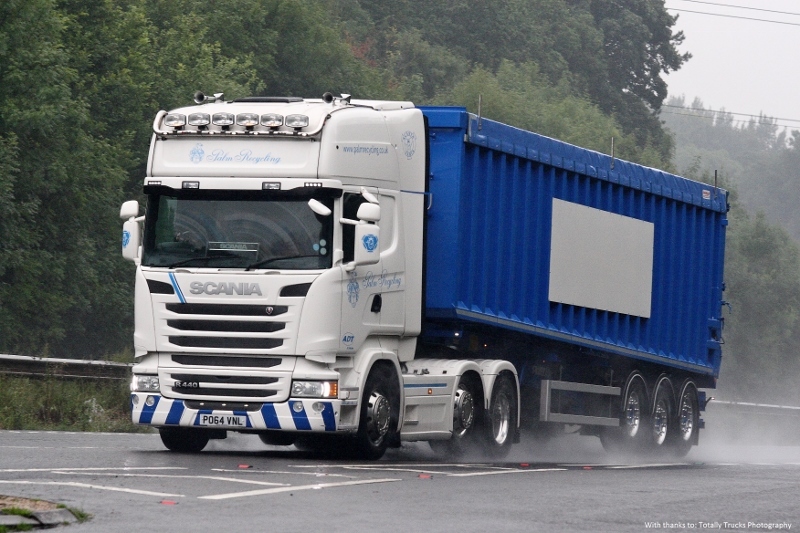 We are now also participating in a 10 year DVSA Government scheme, whereby we are trialing 14.6 metre long trailers, that have a 112 cubic metre load capacity. 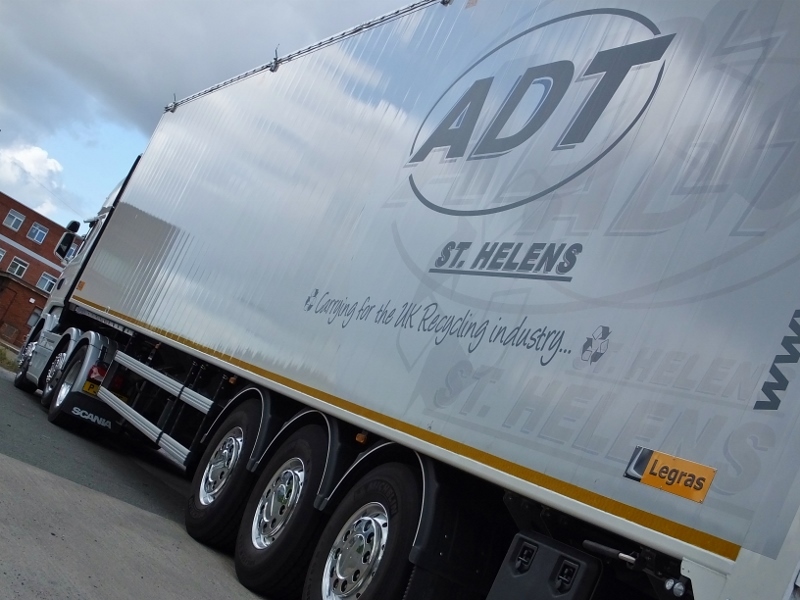 A&D Transport are currently one of the very few walking floor operators in the UK to trial them, and we currently have a fleet of 18 Legras 14.6 metre walking floor trailers. 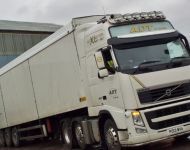 We provide a 24 hour, seven day per week service to a number of the daily newspaper printers with our versatile split roof walking floor trailers. 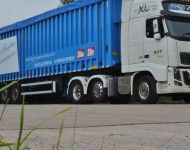 The trailers are connected to on site power packs and left unattended to load waste paper. 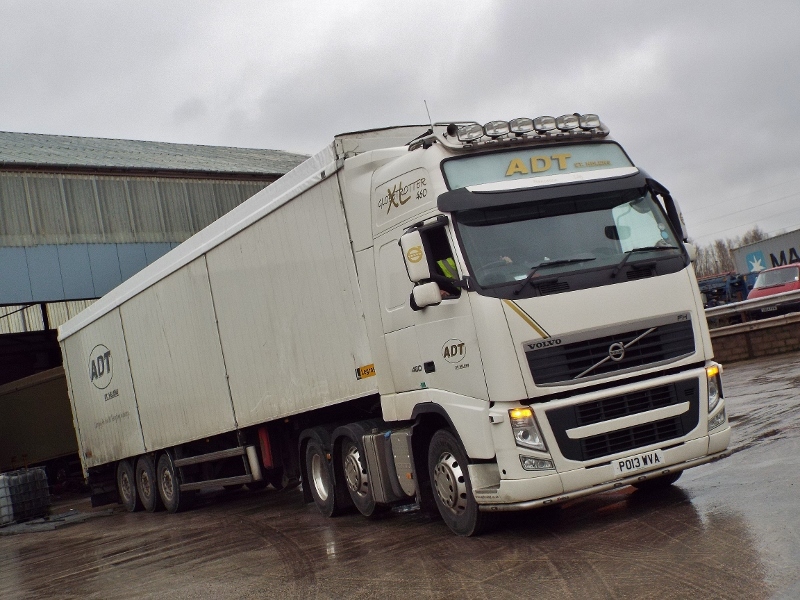 Once full, we are alerted and a vehicle is dispatched to change the full trailer. 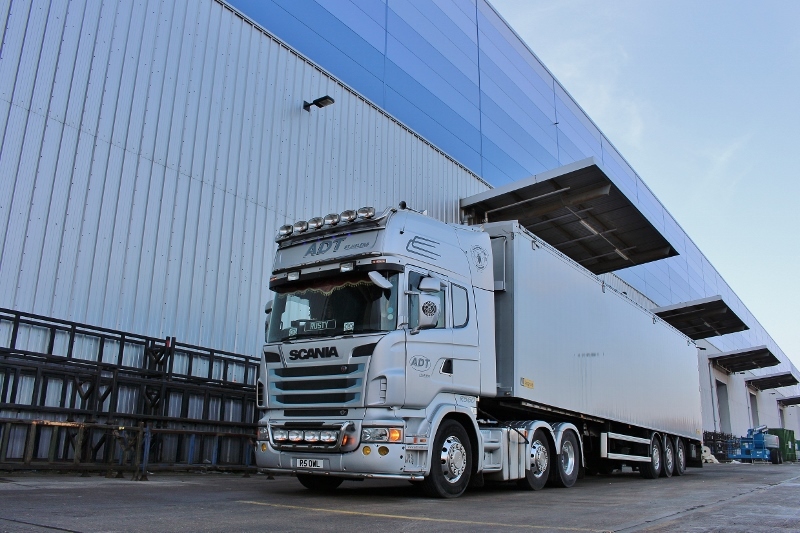 The loaded trailer is then delivered to one of the major paper mills in the UK. 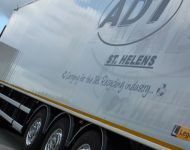 Our tipper trailers are stored at various press rooms throughout the country where they are loaded with up to 61 cubic metres of materials, with the trailer compressing the load towards the front of the trailer, once full the trailers are exchanged from the press rooms and taken to a variety of different paper mills we are contracted to. 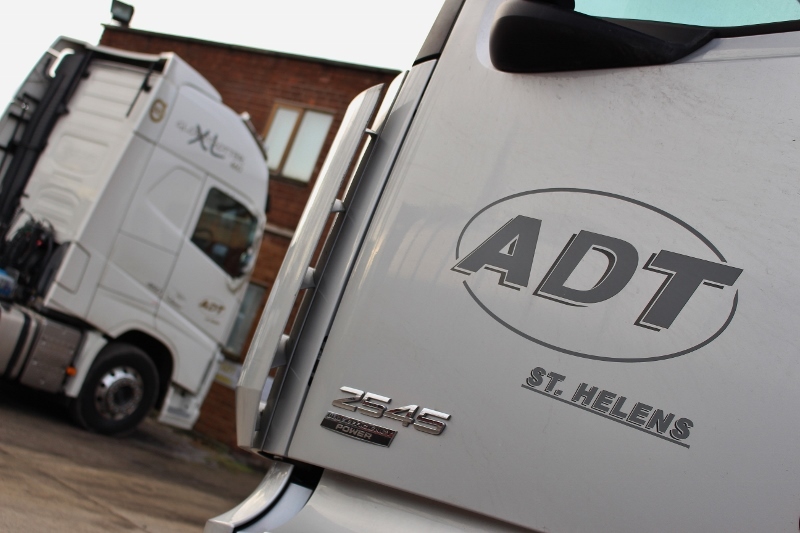 Our fleet is serviced and checked regularly to ensure that they perform to the best of their ability. 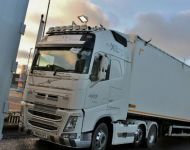 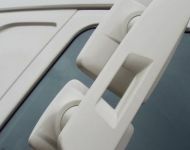 It is also continually being updated, meaning that they are as modern and reliable as possible enabling the company to meet the stringent demands of our customers.